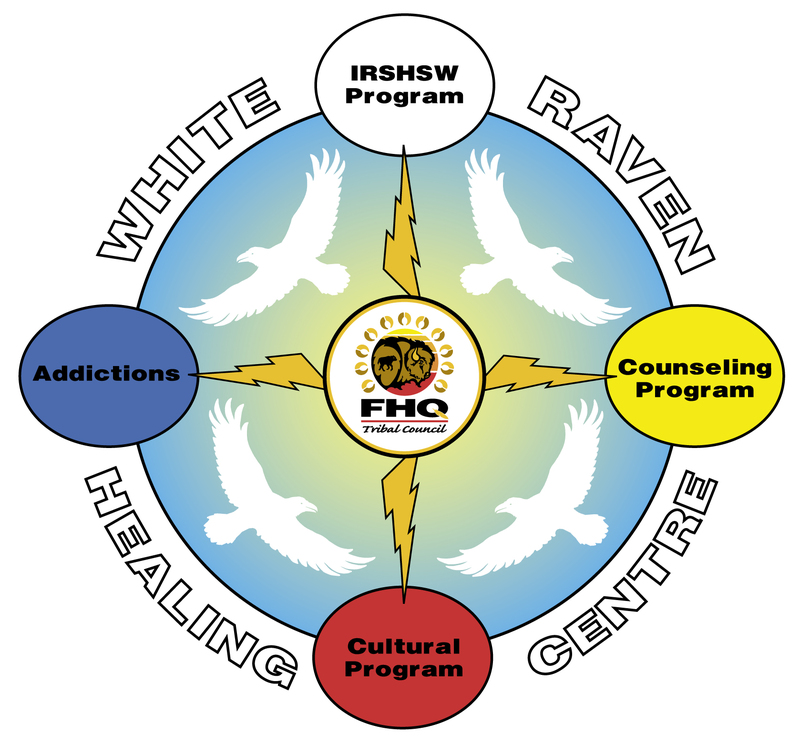 THE VISION of the White Raven Healing Centre is to provide client-centered mental health and addictions services that integrates the best of mainstream therapeutic techniques with traditional First Nation healing practices to provide a holistic approach to heal from past traumatic experiences and current psychological issues. OUR MISSION is to promote guiding principles that will encourage open communication with all individuals, families and communities. Our primary focus is to provide traditional and conventional counselling designed to address the legacy of intergenerational impacts of residential schools and unresolved trauma and family violence. THE WHITE RAVEN HEALING CENTRE was obtained through a traditional naming ceremony and was named by the Grandmother Spirit, White Raven, the head Grandmother who sits in the West. Programs begin at 7:00 p.m.